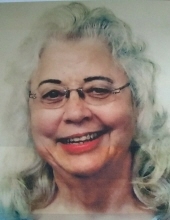 Sara Elizabeth Jarrett of Munster passed away peacefully Monday April 8, 2019 at Franciscan Health. She was born May 8, 1940 in St. Petersburg, FL to the late H. Clyde and Bernice Westbrook, nee Garrett. Her early life was spent in FL. A long-time resident of Munster; Sara retired from the U.S.P.S. where she had been a letter carrier and a clerk at several facilities. Most recently she had been a clerk at the Munster branch where many may remember her as the ring lady. Her most important work was as a mother. She was always involved in her children’s activities and was active in the PTA. Sara was always active and enjoyed travel and any outdoor fairs and festivals. She loved her Lord and savior Jesus Christ and was active in church when she was able. She is survived by her husband of 54 years: Bill D. Jarrett of Munster; children: Lori E. Sabina of Longwood, FL, D. Blake Jarrett (Bobbie) of Evansville, IN, and D. Kirk Jarrett (Michelle) of Winter Haven, FL. In addition, her grandchildren: Melinda, Andrew, Liberty, and Jarrett Sabina of Longwood, FL; Bill, Cora-li, Charlton Jarrett of Evansville, IN; and Montgomery and Delaney Jarrett of Winter Haven, FL; also several nieces and nephews. There will be a memorial service for Sara held at Burns-Kish Funeral Home Friday April 12 at 11:30 a.m. with an hour visitation prior to the service. Cremation to follow. In lieu of flowers, memorial contributions may be made to Shares, INC of Indiana (www.sharesinc.org). To send flowers or a remembrance gift to the family of Sara E. Jarrett, please visit our Tribute Store. "Email Address" would like to share the life celebration of Sara E. Jarrett. Click on the "link" to go to share a favorite memory or leave a condolence message for the family.